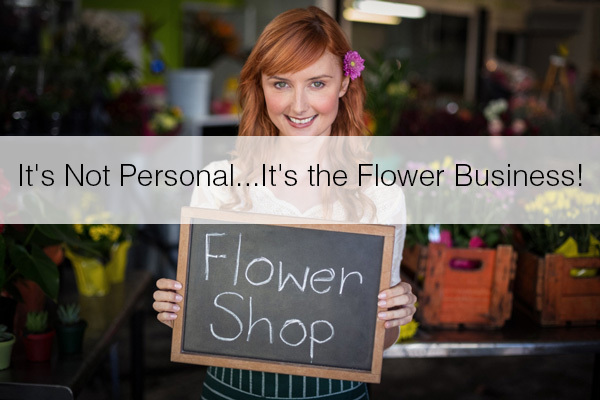 It’s Not Personal…It’s the Flower Business! 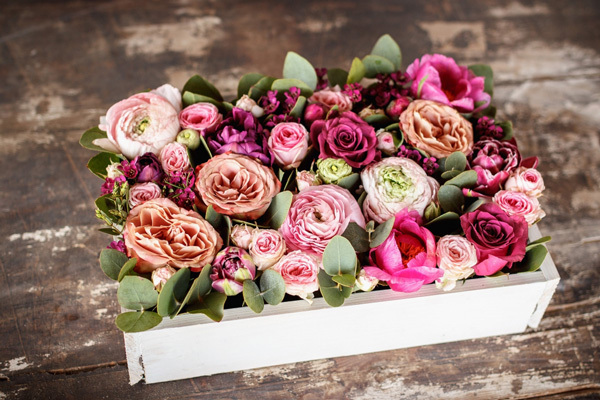 The floral business is fast evolving, leave behind your preconceptions about the way it’s run. We promise you that making some simple changes in your flower business will not in any way hurt your profits—to the contrary, you can expect to profit more. To be constantly evolving your business means to treat it as such, and not cross wires with your personal life. Here’s how. 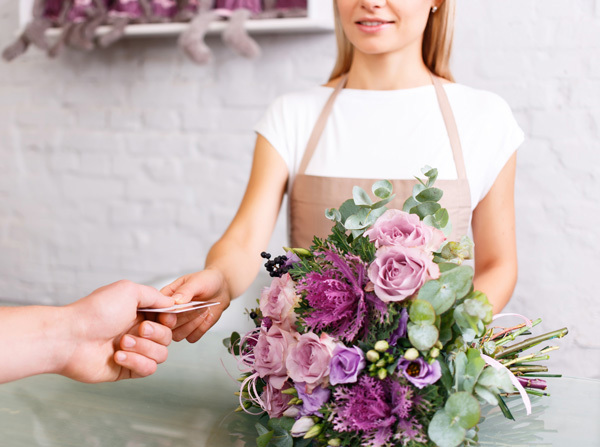 It’s no wonder many florists really like their customers and vice versa, it’s common sense that the customers who gravitate to your business will be the ones that are friendliest to you. So what is all the fuss about friendship in business? Well, the fact that florists are so giving by nature, some shops may misconstrue their relationships with customers and start giving them freebies. It can be helpful to give a customer a reason to do business with you in the future, but be careful of overdoing it. The most relaxed job I ever had was my job in a flower shop. The environment was so laid-back and there were few rules for conduct as long as I showed up and did my work. 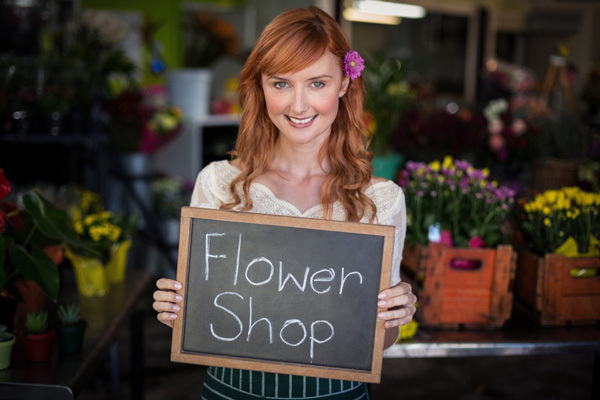 We needed structure, and your floral business will benefit from having firm employee policies and guidelines. That starts with putting policy in writing. First, explicate a policy to keep waste under control. Supplies cost money—that tiny wire on the floor, bits of ribbon, scraps of tissue paper—all employees should have respect for your supplies. 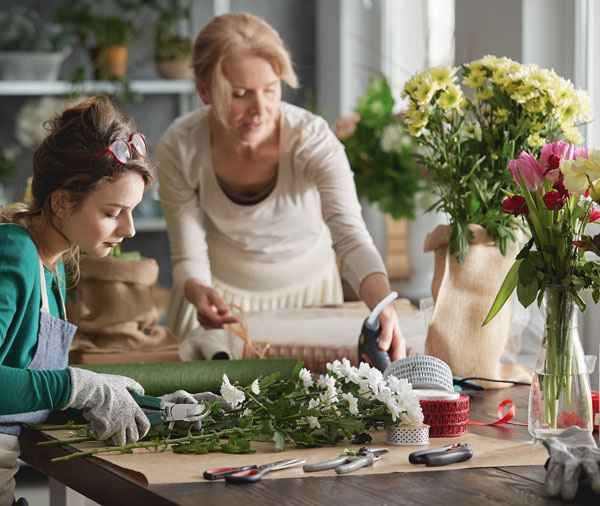 It’s worth noting that some communities have many flower shops, and some florists hire part-time floral designers that may also work for a competitor a few miles away or the next town over. If this is not a concern to you, then no problem—but if it does, take this into account as you write your waste policy. Next, every employee should be taught how to upsell and offer add-ons to a customer with their order. This is an easy way to win some extra sales. If you design for many weddings or events, then you absolutely must have terms signed by the customer. 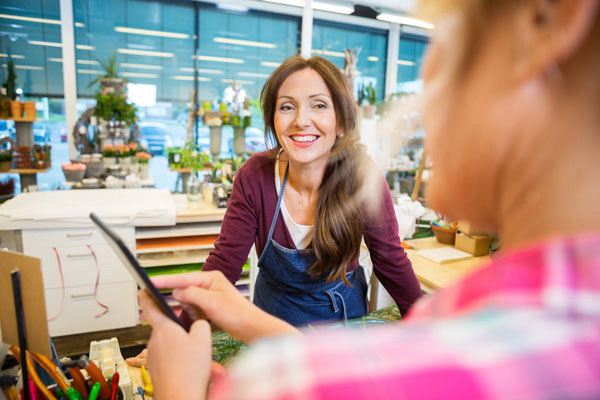 Remember even though this may be a customer you think of as a friend, it’s a business relationship and no one can blame you for keeping yourself covered. All terms must be clear—all delivery stops on contract, deposit requirements, cancellation requirements and substitution policy. This will protect you and save you money in the long run. There is nothing worse than having a customer contradict you when you have nothing to back up what you know to be true. Put it all down in black and white. We all know what works in our flower shop and for our customers, so why try something new and different? Maybe a new floral design style isn’t your style, but it’s trending. Maybe it won’t work for you, but maybe it will! You must keep evolving and trying new things in the floral industry. If certain flower stems in your area are too costly to keep all the time, maybe offer them once a month and charge more so that you make a profit. Never assume your customers won’t like or buy something. You may be right, but if you’re wrong you will be losing out on gaining new prospective customers and profits. We often hear how some customers and services can deplete profits. Now is the time to make a change and reevaluate. First, let’s consider customers who are low profit and super high maintenance. Sometimes it’s okay to gently say “no” to the customer. Working on quality service is always best if you feel quality will be subpar or customer is just impossible to please by all means just say no (in a nicer way of course). This is your reputation on the line and remember everyone today is a critic with easy access to review you online which can really be determined to your business. Think of every customer as a critic and do your very best to achieve a great review for every order—regardless if they review you or not. Also, keep in mind that customers who are unhappy with your service are the first ones to offer their review. If you feel you can’t accommodate an event during a busy week, then simply say no. If you feel the customer is just too hard, just say no. Last, if you are with a wire service, double check that you are making a genuine profit. Not a few hundred dollars a year, that won’t cut it when you account for mortgage/rent, utilities, etc. Wire service companies are not your partners, they are in it for their own profits. It may sound cynical, but as a business owner, you should be too! 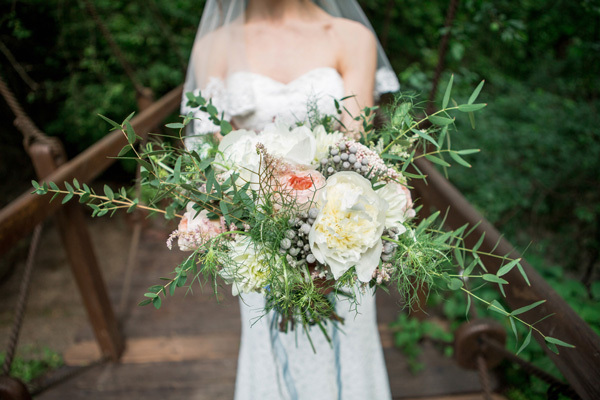 Florists, what are some important rules you feel should be included above? Please share your feedback any related questions in the comment section below!